Bengaluru: At the top level, there is the war of words, Rahul Gandhi versus Narendra Modi, Siddaramaiah versus Amit Shah. While at the ground level, it seems to be a war of manifestos. The Congress released its manifesto recently in Mangaluru, which contained separate sections and promises for the state’s five main regions — coastal, old Mysore, Malnad, Bayuluseema and north Karnataka. The BJP decided to go one better — releasing a different manifesto for each of the state’s 30 districts. The first set was released on 4 May. Having released its manifesto a couple of days earlier, Congress leader Mallikarjun Kharge was quick to dub the BJP’s efforts as "cloning the Congress manifesto". While BJP leaders said no other party has done such an exercise, which had begun before the election dates were announced. "This was an exercise in decentralising the manifesto," said BJP state spokesperson S Prakash. 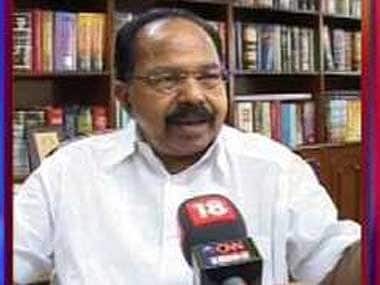 M Veerappa Moily, head of the Congress manifesto committee, called the BJP exercise "a product of plagiarism", culling points from the Congress document and rehashing them to suit area and regional issues. "They may pat their backs for district level penetration," he said, "but we did that much earlier and there is nothing new in their manifesto which is not covered by us. Particularly in inclusiveness nobody could beat our manifesto." The BJP countered saying their manifesto committee was not just one committee but a cluster of committees. Said Nalin Kumar Kateel, BJP MP from Mangaluru, "We sought suggestions from district to gram panchayats and augmented them at the state level giving it depth." Added MLC Ganesh Karnik, member of BJP’s state manifesto committee, "Our leaders had directed to form manifesto committees in all 224 assembly constituencies. The committee toured the seats, noted the needs of the common people and included them in the district level manifestos." 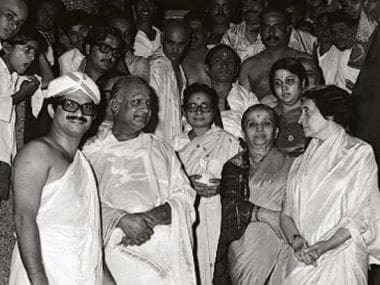 The districts whose manifestos were released on 4 May include Dakshin Kannada, Udupi, Uttara Kannada, Hubballi-Dharwad, Bidar, Kalaburgi and Vijayapura. All mention hyper-local issues in agriculture, rural development, rural industries, infrastructure and irrigation. Districts yet to release their manifestos include Davanagere, Shivamogga, Chitradurga and Ballari. The released manifestos are little more than pamphlets, though they do contain some vital information. Gopalakrishna Bhat, a BJP leader in Puttur, said people who got a copy have said that suggestions given by their village elders have been included in the district level manifesto, and a few of them in the state manifesto. 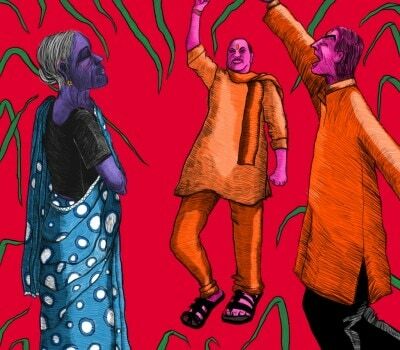 "The manifesto was a process of evolution," said BJP’s N Yogish Bhatt, a five time MLA and former deputy speaker of the Assembly, who coordinated the collation of suggestions in the state manifesto. "It connected the remotest areas in projecting the aspirations of the people." The Bangalore manifesto makes some major promises — modern infrastructure, high quality of life and diverse employment opportunities. For instance, it promises to pass a "Nava Bengaluru Act" to cater to its unique needs. It promises to extend the Bengaluru Metro into all urban areas of the Bengaluru Metropolitan Region in a phased manner, to enable a structured expansion of the city through "Transit Oriented Development". It also promises to establish B-RIDE (Bengaluru Railway Infrastructure Development Corporation) to complete the Bengaluru suburban rail network using the Rs 17,000 crore provided by the Centre and ensure seamless inter-modal connectivity through unified commuter cards. Some of the other promises are 'Kittur Rani Chennamma Flying Squads' to respond to distress calls of women quickly, a Rs 2,500 crore 'Nadaprabhu Kempegowda Fund' to clean and revive the city’s lakes and ponds, doubling the city bus fleet and giving the city a “zero garbage” tag. The Belagavi manifesto makes 37 promises, the two key ones being resolving the Kalasa-Bhanduri river project which would join the Mahadayi and Malaprabha rivers and bringing all divisional offices of the secretariat to Belagavi for the Suvarna Vidhana Soudha (SVS). Releasing the manifesto on 4 May, MP Suresh Angadi said BJP would make the SVS active all year around rather than merely holding legislative sessions there as the Congress was doing. Having the same party government in the state, Centre and Maharashtra would enable resolution of the river water issue, Angadi said. 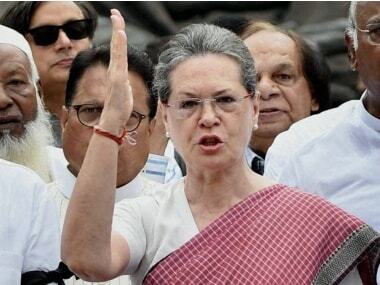 Sonia Gandhi had earlier said that not a drop of the Mahadayi river water would be given to Karnataka. Other promises to Belagavi include a cargo flight service, a solar hub in every taluk, jaggery research and training centre, tourism development, a special economic and industrial zone and food processing units in every taluk, tree plantation under horticulture scheme in a 5 km radius of rivers, promoting organic farming of sowing millets, goshala in every taluk and 24x7 water supply to Belagavi city. “We are confident of winning over 150 seats and will put all our efforts to fulfil our promises," Angadi said. The Uttara Kannada manifesto focuses on development of tourism, agriculture (with special emphasis on irrigation, rainwater harvesting and water conservation), horticulture and fisheries. It promises establishment of agri-based industries with emphasis on encouraging local produce. Fishermen have been promised promotion of inland fisheries, construction of small fisheries ports and freezing units for storage. On tourism, besides infrastructure development, the manifesto promises to promote local cuisine and culture.